Models and teaches the YMCA core values of caring, honesty, respect, and responsibility with members, colleagues, staff, guests, volunteers, and vendors. Develops, maintains, and facilitates positive relationships with and between volunteers, members, program participants, staff, and colleagues at all levels of the organization; helps participants and families connect with each other and the YMCA. Leads day to day operations of the branch and oversees all branch facility changes and communicates effectively. Provides leadership, supervision, and direction in program and facilities managementfor assigned branch. 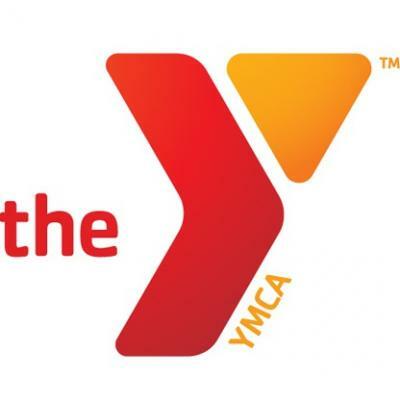 Supports the implementation and evaluation of all operational components of the YMCA’s Real-Time Strategic Plan as it relates to assigned branch. Responsible for overall supervision and support of branch leadership staff and follows and implements policies and procedures. Leads, supports, supervises, and develops staff in support of the strategic plan. Communicates with members, peers, staff, and participants in a timely and professional manner as it relates to branch responsibilities in support of a positive experience with the Y. Ambassador of all YMCA programs and member engagement that fosters loyalty among those we serve. Supports with achieving fundraising goals for the Annual Campaign. Represents and promotes the YMCA in the local community and develops positive working collaborative relationships with community agencies. Oversees, evaluates, and grows all branch programs ensuringcommunity needs are met and risk management is in placein accordance with YMCA guidelines; and through motivational support and guidance that supports members, program participants, and staff in achieving their goals. Supports with coordination of branch strategic planning efforts by assisting with developing the annual operation plan that ensures continued growth in Real Time Strategic Plan goal benchmarks. Develops, manages, and monitors the branch operating budget and meets or exceeds budget targets. Ensures the safety, risk management, and maintenance of high quality facilities, grounds, and equipment. Ensures maintenance and upkeep is maintained as required by the Central Connecticut Coast YMCA, local and county health departments, and The YMCA of the USA. Works closely with the District Facility Director or Facility Director to assist with the maintenance and repair of all equipment and facilities. Follows association guidelines to develop, promote and market, and manage branch programs and offerings in a manner consistent with YMCA core values. Leads the development and implementation of membership recruitment, retention, and orientation strategies. Actively participates as a member of Association Quality “Q” teams and Y management in support of the overall objectives of the YMCA. Knows, implements, follows, and enforces all YMCA policies, guidelines, regulations, and procedures, including emergency and safety procedures, those for the prevention of child abuse, and staff expectations as required by the YMCA, licensing, and the state health department, and supports other staff to do the same. Pursues training opportunities that support the work of the YMCA and enhances personal and professional growth. Attends all mandatory meetings and trainings. Serves as Manager on Duty per branches’ schedule. Bachelor's degree in human services, recreation, business or a related field, or equivalent, preferred. YMCA Team Leader or Multi-Team Leader certification preferred. Preferred knowledge of, and previous experience with, diverse populations. High level of computer competency, including Microsoft Office. Demonstrates excellent planning, organizational, time management, and attention to detail, with the ability to handle multiple projects with minimal direction. Possesses and demonstrates excellent customer service, decision-making, problem solving, team building, and critical thinking skills. Demonstrates leadership skills in an outgoing, friendly, assertive, professional, and mature manner. Proven effective communication skills to inform, counsel, motivate, and support members and staff. Ability to read, interpret, and effectively communicate, document, train, and instruct employees on the benefits of the YMCA. Ability to solve problems by taking a leadership role in handling a variety of situations, problems, issues and/or complaints from employees as they arise. Possesses a general knowledge and understanding of the YMCA, its goals, and its mission. Able to work a flexible work schedule. Must complete online Blood borne Pathogens, Employee Safety, and Hazard Communication trainings prior to initial start of position. Must complete other New Employee Orientation and department onboarding prior to initial assignment to position. Must complete Child Abuse Prevention and Mandated Reporter trainings prior to initial assignment to position. Must hold and maintain CPR, AED, and First Aid certifications prior to initial assignment to position, required for Manager on Duty responsibilities. Must complete Emergency Oxygen Administration Certification within the first 90 days of employment. Must complete YMCA Multi-Team Leader Certification within the first 3 years of employment.